The YouTube video, Bell's Theorem: The Quantum Venn Diagram Paradox, was trending as popular. It is pretty good, but exaggerates the importance of Bell's theorem. The basic sleight-of-hand is to define "realism" as assuming that light consists of deterministic particles. 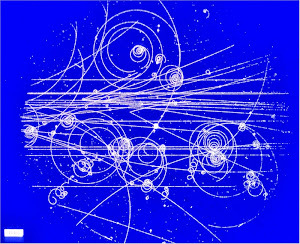 That is, not only does light consist of particles, but each particle has a state that pre-determines any experiment that you do. The pre-determination is usually done with hidden variables. Bell's theorem then implies that we must reject either locality or realism. It sounds very profound when you say it that way, but only because "realism" is defined in such a funny way. Of course light is not just deterministic particles. Light exhibits wave properties. Non-commuting observables like polarization cannot be simultaneously determined. That has been understood for about 90 years. There is no need to reject locality. Just reject "realism", which means rejecting the stupid hidden variables. That's all. Wave like properties...is not a wave. It is something that has some properties of a wave, but clearly by observation not all, or you would just call it a wave and have done with it. Many things in reality can have wave like properties in aggregate movement, like the stock market, water/air molecules, matter, yet no one would be silly enough to say there was nothing there but waves. Same for any other kind of wave, a wave of WHAT? 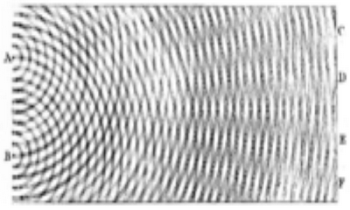 Oscillating amplitudes don't float around without being anchored to something actual, or it's just abstraction. Let's not butcher photons into meaningless reductionist goo by denying that they still have un-wave like 'particle' properties too.